Professional Premium Web Hosting - Simple, Reliable web site hosting & domain registration services! Provide your visitors with the confidence and security of SSL- encrypted web site content. Welcome to Cyberchute Premium Hosting! Don't worry, Premium Hosting doesn't mean expensive, it just means better. Cyberchute can provide you or your company with Premium, Affordable and Quality Web Site Hosting, with personal attention and superior, personalized technical support. 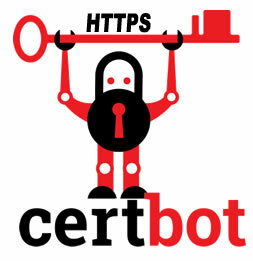 We provide web hosting solutions for individuals, families, organisations and businesses, with the option for FREE CertBot SSL security. Move to Cyberchute Hosting today and take your online experience to the next level with our personal service. If you have any questions, please feel free to contact us now!.